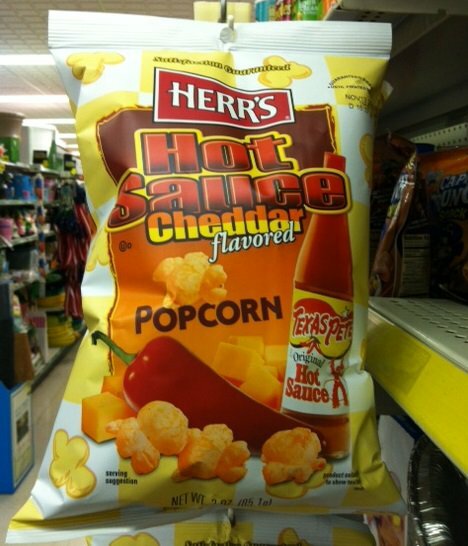 Herr's has launched a hot sauce with cheddar flavored popcorn product. Fresh air-popped, cheddar flavored and then hit with a hearty shake of genuine Texas Pete® Hot Sauce flavoring. Meet the popcorn that packs a punch. Herr's® Texas Pete Hot Sauce Cheese Popcorn. I hope you enjoy eating it as much as we enjoy making it. My son and I love this product but I am not able to find it at any dollar general anywhere. What happened?